McGregor is the Mixed Martial Artist (MMA) champ of the world. He has no commercial experience with boxing, his first ever professional boxing match (meaning he would be paid to compete) is this one against Mayweather. Viewers tuned in to see if the greatest boxing champ of our time could be beaten by someone from a completely different discipline. No one really understands what Conor is saying half the time: in between the gum chewing, cursing and thickest Irish accent ever heard in sports – all we know is that he is really arrogant and talks big. This huge mix of drama is what caused the media stir. But there is business behind the boxing ring, Floyd is estimated to walk out with at least 100 million USD from this fight. That would take anyone out of retirement. Mayweather is good for it, the highest PPV income recorded on sports television is from the Mayweather-Pacquiao fight. For this fight, it is estimated to have brought in over 600 million USD from sponsorships, broadcast rights and pay-per-view (PPV) channels. McGregor is established as the biggest pay-per-view (PPV) draw in MMA history as he has main-event four out of the six highest selling pay-per-view events in UFC history. Ironically though, the ticket sales didn’t do so well for this game, an estimated 7000 seats were unsold. For Mayweather-Pacquiao, the turn out rate was better with an estimated 4000 seats unsold. Could the culture of sports viewing be changing? In the world of digital: live streaming and social media, why did the sponsors and marketers not use these channels for more leverage? MMA is the fastest growing sport on Instagram, according to the social media app’s PR company. McGregor may have recently surpassed Mayweather in Instagram followers with 17.1 million but he’s about 2 million short in Twitter followers. For many people who would not pay-per-view the fight, some went to watch it at a bar. Most – either because of time difference, but more likely because of the wonders of the web – found a live stream of the event. According to research by popular comparison site Finder.com, over one in three viewers planned to watch the fight illegally (33.99 per cent). Millennials are the biggest fans – with 31.81 per cent planning to watch the fight. That preliminary injunction issued by the Californian court means finding a free stream could be incredibly difficult, with Showtime’s complaint listing 44 separate web domains advertising the fight. The preliminary injunction was approved by US District judge André Birotte Jr., which blocks the operators behind these sites from offering the streaming services advertised. In many ways this injunction from Showtime is similar to a recent High Court order obtained by the Premier League earlier this summer. Speaking about the High Court order Premier League bosses described the move as a “game-changer” in the potential crackdown on illegal streams and as a result, more than 5,000 server IP addresses were blocked last week, thanks to the injunction. Because of this, up to five million people in the UK are turning to pirated TV streaming services via so-called Kodi Boxes, Amazon Fire TV Chipped Sticks, and illegal streaming apps. But be warned, because back in May, the Digital Economy Act received royal assent – and increased the maximum jail sentence for copyright infringement in the UK from two to three years. And only a couple of weeks ago, Derbyshire Police executed a warrant at a property in Derby as part of its ongoing crackdown on devices that enable viewers to illegally stream subscription services. The warrant was obtained as part of a joint investigation with anti-piracy body FACT, where a 29-year-old man was arrested on suspicion of fraud, money laundering and copyright offences and has been released under investigation while inquiries continue. But, it still happens that some people slip through the cracks and stream the fight without being shut down. It makes me wonder – why are we not finding profitable ways to use digital media for such events? Guess we will have to wait until the next match for answers. 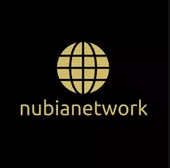 Candice Simone is a content creator for NubiaNetwork.